Students in the Museum Studies program pursue a graduate degree in an area with a vibrant museum community and a low cost of living. Local museums offer paid part-time positions and summer internships. Students can gain additional experience by volunteering for special events, including Art on Elm and Preservation Week activities hosted by the Waco-McLennan County Library. Through the Museum Association of Waco, Museum Studies students have an opportunity to network with local professionals. Museum Studies faculty extend the classroom into the community. 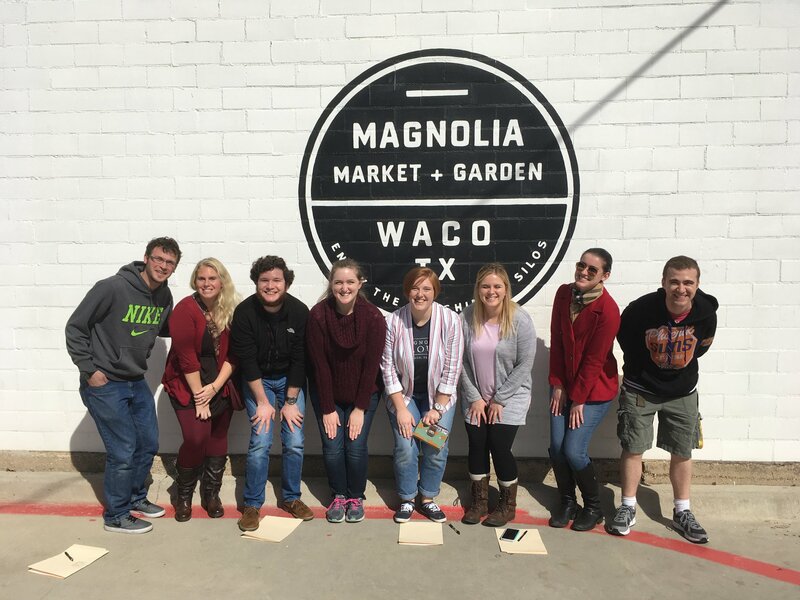 For example, Prof. Eric Ames took his Outreach and Community Relations class to the Magnolia Market to provide an object lesson in brand identity and the re-purposing of a historic structure for modern use.